As more than 50 million students go back to school, Americans of every background and political persuasion should agree on one basic bedrock goal: No matter where these young people live, no matter how much money their parents earn and no matter their race or ethnicity, they all deserve an excellent education. That is a basic promise of American life, set forth in 1954 in the historic Supreme Court decision, Brown v. Board of Education, and countless federal and state laws, court orders and public policies over more than six decades. While much progress has been made, the promise of equal access to quality education has not been fully fulfilled. Too many public schools are shortchanging children of color, especially in fragile communities with severe socioeconomic challenges. About three quarters of African-American and Latino students are assigned to public schools where most students come from low-income households. From 2001 through 2014, the number of African-American and Latino students attending impoverished public schools increased by 11 percent. These schools are often failure factories, with only 18 percent of African-American fourth graders proficient in reading and only 19 percent proficient in math, according to the 2015 National Assessment of Educational Progress. You’d expect the advocates for equal educational opportunities would be demanding what President Franklin D. Roosevelt called “bold, persistent experimentation.” But we still hear warnings about the risks inherent in any innovations, rather than clarion calls against the stagnation that is an inevitable consequence of clinging to a failed status quo. Thus, there have recently been demands for more stringent regulations on charter schools, including an outright ban on for-profit charters, as well as claims that experiments in parental choice will lead to even greater segregation in our classrooms. In spite of these admonitions against innovation, educational policymakers should explore more, not fewer, courses of action, and African-American parents must be able to choose among more, not fewer, options for their children. When parents and policymakers alike can consider more alternatives to top-down systems and traditional schools, our young people will achieve more, and America will be the winner. Fortunately, charters, choice and other educational reforms are reaping real results, especially for African- American students. Charter schools — tuition-free public schools that operate independently of established school systems while still held accountable for student achievement — now serve some 3 million students in 42 states. Reflecting their families’ yearning for something better than the status quo, African-American students comprise more than 17 percent of charter school students nationally and more than 30 percent in at least a dozen major cities. The improvements in student achievement have redeemed the dreams of the families that have chosen charter schools. According to a study conducted by Stanford University’s Center on Research on Education Outcomes in 2015, Black students in public charter schools gained the equivalent of 26 days of learning in reading and 36 in math, compared to similar students attending traditional public schools. For an entirely low-income sampling of African-American charter school students, the gains were even greater: 44 days in reading and 59 days in math. While innovating in many important ways, charter schools can reflect the culture and nurture the potential of young people from communities of color. Many of our nation’s historically Black colleges and universities (HBCUs), recognize that charter schools share this mission and can create a pipeline for students and faculty for our institutions. These are among the reasons why eight HCBUs are operating charter schools, and many others are partnering with the charters, as are local chapters of 100 Black Men, an organization of accomplished professionals serving their communities. For instance, in New Orleans, where more than 90 percent of public school students now attend charters, the historically Black and Catholic Xavier University is working with five charter management organizations on a teacher residency program. As our nation’s policymakers evaluate education reforms, they need look no further than the schools in our nation’s capital. In Washington, D.C., the on-time high school graduation rate for African-American students in the public charter schools is 73 percent, compared to 62 percent for their counterparts in the traditional public schools. That is one of many reasons why Thurgood Marshall College Fund urges Democrat and Republican Members of Congress to renew the SOAR Act, which invests in Washington’s charter schools and traditional public schools, as well as offering about 1,000 scholarships to private schools – yet another impetus for parental choice and change. From our capital to communities across the country, the lesson is clear: When we have the courage to change our schools and empower parents, our students and teachers will do us all proud. Now is not the time to hem and haw and hesitate – now is the time to make history. 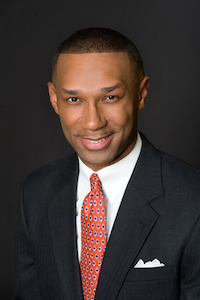 Johnny C. Taylor, Jr. is the president & CEO of Thurgood Marshall College Fund (TMCF), the largest organization exclusively representing the Black college community. Jennifer Wider is executive director of the Center for Advancing Opportunity (CAO), a research and education initiative born out of a partnership with the Thurgood Marshall College Fund, the Charles Koch Foundation, and Koch Industries.